Interior designing has become an integral aspect these days for almost every new building construction. Whether it’s your abode or office space, all of us want it to be the best, both from exterior and interior. While you spend a fortune on the outer beauty of your property, interior can’t be ignored as well. In fact, the interiors of your space are rather more important because you spend most of your day in your office and home. An appealing interior not just attracts appreciation from friends and relatives, it also makes it a saleable property for future. While there are many who prefer designing their interiors with their own idea, but if you want something like those in the movies, magazines, or on the web, your interiors would need a professional touch. But, thanks to evolving technology, we now have interior design programs that help you to sketch out ideas on your own. So, if you are up for a DIY project, these programs can be really handy. 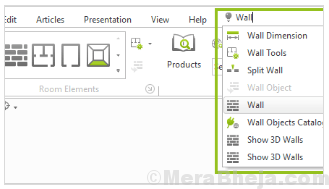 Here we have listed some of the best interior design software for Windows for your review. It’s easy to use, yet an advanced interior design tool that helps you create a 2D/3D home design. You can create your desired home design in just 3 simple steps. The first step is to create floor plans and design layout in 2D mode. You can even change to 3D to find and edit the design from any angle. The second step is where you can edit color, designs, and materials to form exclusive walls, floors, or furniture. Finally, using the Snapshots function you can record your design as an image that looks realistic. With an easy to use interface, its perfect for both beginners and experienced alike. One of the leading interior design software, Sweet Home 3D is a free application that helps users draw the plan of their own property, arrange furniture, and view the results in 3D. 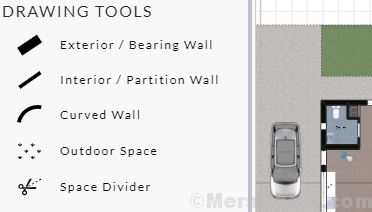 Using this tool, you can draw either a straight, round, or slanting walls with accurate dimensions. You can use the mouse or the keyboard for this purpose. You can then add doors and windows to the walls and bring them to the plan. The tool then determines the holes in the walls as preparation measure. You can then insert furniture from a detailed catalog arranged in categories, like hall room, bedroom, kitchen, etc. It also allows you to change the size, color, placement, texture, and location of the walls, floors, ceilings, and furniture. Moreover, you can view the design in 3D from an aerial view. Annotating the plan, creating realistic images, importing the design, print or exporting in PDF and other major formats, are some of its other major features. Roomstyler comes with over 120,000 items from the well-known brands that help you decorate your interior designs. The tool makes designing easier and does away with all the needless hassles of choosing color samples, or heavy lifting. As soon as you click on the tool, it directly opens up the interface where you can remodel your room online. Only once you are happy with the results, you can begin designing in real life. It’s an easy to use program that lets anyone create photo-realistic 3D images of the interiors designed. In addition, the items found in the virtual repository are models of real furniture. These furniture models belong to different renowned brands that range from names like IKEA sofas to the fancy pieces from the finest designers like Marcel Wanders and more. What’s more? The app also works as a viewbook that features thousands of designed rooms available online. 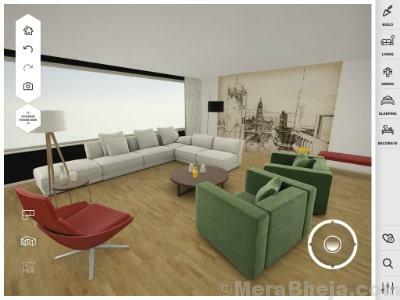 Build, restyle, and redesign your rooms using Amikasa, the 3D interior design app. You can redecorate your rooms with wall colors, furniture, and floors using original brands. You can start with choosing your room shape, or can even create your own floor plan. Further, fixing the dimensions of the wall that complement your space with the help of the blueprint mode. You can then place the doors and windows accordingly. Next step would be to decorate and furnish where you can find many colors. You can try the color combinations in your room using the color wheel and the catalog featuring a wide range of flooring materials. You can select your preferred furniture items from the catalog and easily drag and drop these items into your virtual room. Furthermore, you can adjust, rotate and rearrange them according to your preference. Walk-through mode, or sharing it on social media platforms are some of its other major features. The software comes equipped with an assorted range of tools that help you design the 3D version of your home. The interface is attractive due to its professional layout and offers convenient access to useful training videos. The software comes with a lot of options that helps users cycle through several different building materials like the cabinets, walls, doors, and windows and accordingly design your impending home with furniture items picked up from the photos of different brands. You can select your preferred lounges, coffee tables, televisions, etc., and simply click on them, and drag them on the layout. Moreover, the program comes with different prefabricated floor plans and a sweet feature that lets you take a walk into your house in a 3D clone that appears more like a video game. Ikea is a world-famous name in the category of home planning. It also offers an option to decorate your interiors using their planner tools. 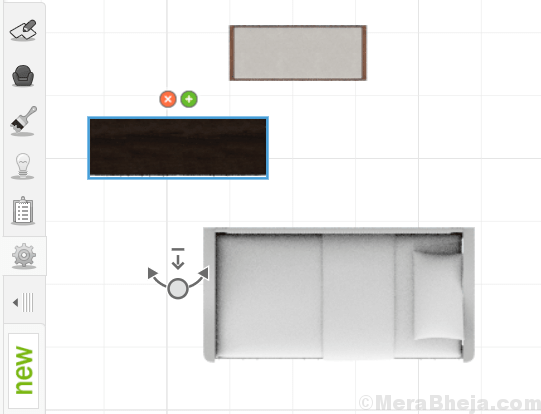 You can simply drag and drop your selected furniture into the room and position them based on accurate measurements of your home. You can even reorganize and try various styles till you get the desired result. It allows you to get a 3D view and get a print with all the measurements accurately, same as an architect. Furthermore, you can view the estimated price and get the product list. As you are satisfied with the plan, you can save, print or e-mail it along with the list in order to pick it up at an IKEA store nearby. You can then get the final planning suggestion and help from IKEA before buying the products for your interior design project. 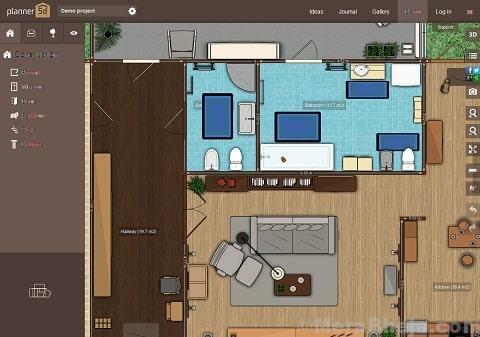 pCon planner is another great interior design software that’s perfect for professionals. The best thing is, you can take advantage of the professional features completely free of cost. It’s useful for businesses and personal home designing alike. It creates comprehensive, 3-dimensional floor plans with immediate effect. Irrespective of whether you are a starting from ground level or adding an existing plan, you can edit and share your plan quickly with others. What’s more? You can insert CAD models in various formats like DWG, SKP, 3DS, and more into your plans. You can also download appropriate models from linked supplier catalogs. Moreover, you can build structures, design objects or customize items, using the design functions of the software. The best part is, the software is easy enough to be used even by beginners to generate top-quality images instantly. From true-to-scale drawings and title blocks to logos, you can provide a detailed overview of the plan to your customers. In addition, bring 3D models and 360° panoramas to life in presentations, on websites and your blog using the application. Using Space Designer, you can draw your floor plan easily starting from the basement to the roof. You can also customize your designs using more than 5000 furniture items and materials for both home and business use. It helps you view the design of your home or office or any property in 2D or 3D in real-time. Moreover, it’s a compact program that does not need to be downloaded. It allows you to transform your floor plan to 3D view without downloading any software or application. It’s also available on smartphones and tablets, offering you the ease of access to your projects from anywhere. What’s more? You can also explore your floor plan in VR using Google Cardboard or any other mobile VR headset. While you can change the overall look of your house or office, you can also preview the results before buying anything. It allows you to take a walk through your property in 3D view before even the construction begins. You can integrate the application in on your website, under your brand name and along with your product catalog. 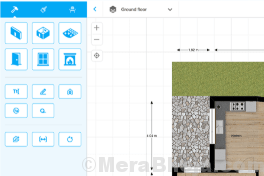 Floorplanner is one of the easiest and attractive looking applications that helps you build and share interactive floorplans online. It helps you draw your plans quickly and easily. 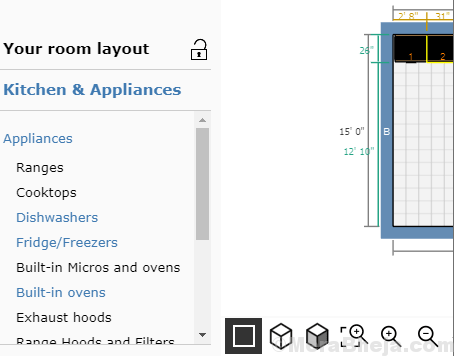 The responsive editor helps you create your floor plan in minutes. Moreover, you can decorate your rooms in a single click. The Auto-furnish feature helps you to design your plan in just a couple of clicks. Alternatively, you can select furniture items one-by-one from their repository that features more than 150, 000 3D models. From using the floorplan images for marketing purposes, or building work, to simply hang your floorplan design on the wall, this software you can create stunning images, effortlessly. If you are thinking of redesigning the entire room, or want to change the flooring of your home, there could be no better option than Armstrong. You can simply upload your images or select from one of theirs, and can then try the hundreds of floor options. You can also try several selections of paint colors and stains. Further, you can save them and share the designs. Designing a room, whether it’s of your office or home, is an intricate process. It requires good research and some professional tools to get the perfect results. Interior design software is one of the best ways to get accurate measurements and a full proof plan for the home you have been dreaming of. So, choose to form the above list and get the desired results for your interiors.